Christians have taken to social media seeking God's intervention for the protection of the Commissioner of Police. 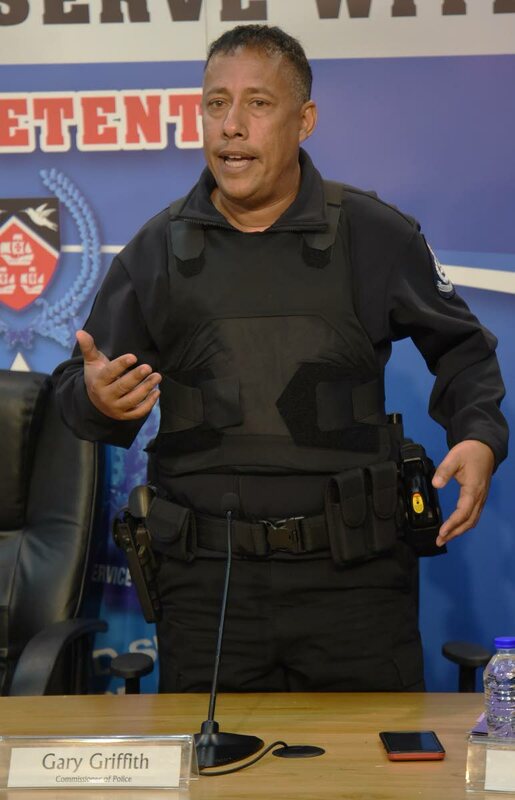 A message which has been circulating on WhatsApps and Messenger, for the past week, calls on citizens to stand up for Gary Griffith in prayer and to continue covering him and his family with the blood of Christ. "Remember his battle is on our behalf," it said. "In every generation whenever forces of darkness threaten to overpower, God raises up a man of valour – a Moses, Daniel or David to stand up for a nation and deliver its people. That anointing is on Gary Griffith." The message asks the Lord to surround Griffith and his family with angels. In the past few months, Griffith has reportedly received death threats, including one from a 12-year-old boy. The child was charged with the misuse of a telephone and the case is pending. The message said, "Watch over their every movement Lord and let protection favour and grace follow them.We pray that every weapon formed against them will not prosper but perish, and every tongue raised against them be refuted." The message asks for St Michael the Archangel to stand beside Griffith in every situation and let him know this "angel warrior" has his back. It goes on, "We plead the blood of Christ upon the soles of Gary's feet that he will be led in paths of safety and upon the palms of his hands that everything he puts his hand to will have success. "Lord may the Holy Spirit speak words of guidance wisdom and discernment to him so that his strategies and raids are successful." Reply to "‘Angel warrior’ has CoP’s back"